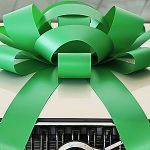 Choose the original Giant Car Bow and make your cars look spectacular in your dealership or when giving away a special gift. 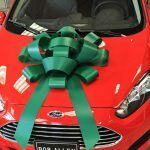 The Big Green Car Bow is only available in green, but take a look at our other products for more color variations. The Original Big Car Bow is the ultimate way to ensure your vehicles are all presented in the best possible way in your dealership. The large car bow attaches using a soft magnetic backing so you can attach it and remove it as many times as you want without leaving any marks. The Large Car Bow is also the perfect option if you want to make your gift look spectacular. 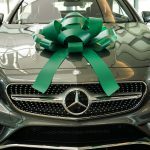 If you’re planning on presenting someone with the gift of a car for their birthday or special occasion, make it look even better by adding the big car bow. 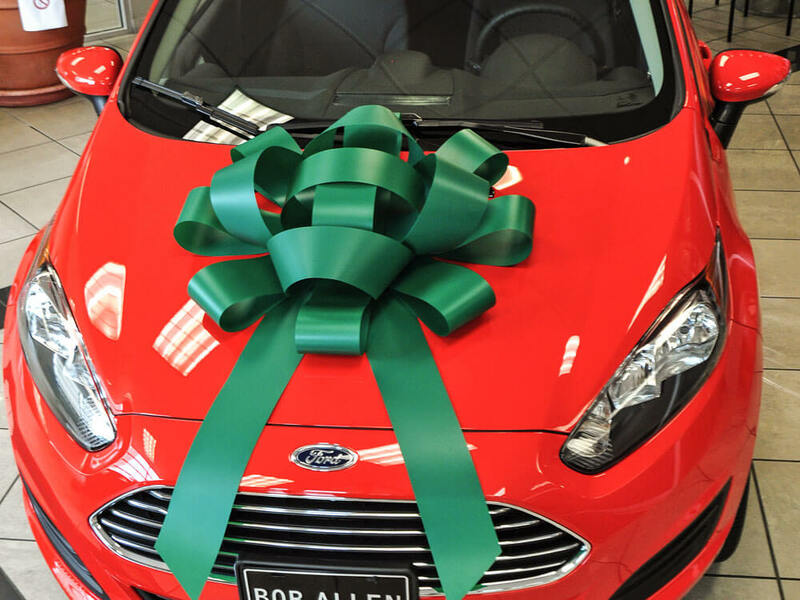 The Big Green Car Bow is the perfect way to make any vehicle or large item look spectacular. We provide a huge range of car bows in all shapes, sizes, and colors. See our Big Red Bow and other variations in Blue, White, and Black, and check out our Birthday Car Bows, Graduation Car Bows, Color Combination Car Bows, Pull Bows, and more! Our fast 1-5 day delivery service means you’ll receive your car bow at any USA address in no time at all. Just choose expedited shipping at checkout and you ‘re all set!